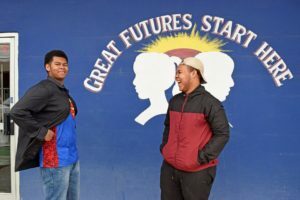 When Isaiah Bullock visited the Boys & Girls Clubs of Maury County for the first time, Chauncey Julius saw a teenager with a nice smile filled with challenges and potential. The Central High School student was moving to Columbia from Mt. Pleasant in 2015 and was looking for new friends and opportunities when he walked into the building downtown. He came from a broken home, but came into the club with a leader’s heart. 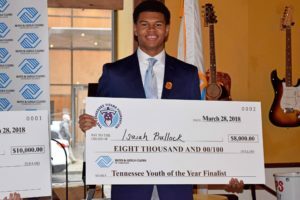 Three years later, the 17-year-old senior was polished and poised enough to enter the Boys & Girls Clubs’ State Youth of the Year contest in Nashville. 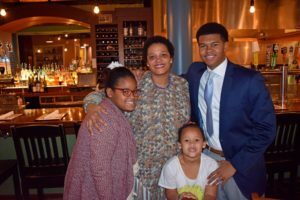 He finished as the first runner-up Wednesday and won an $8,000 academic scholarship from the Tennessee Titans Foundation. Bullock’s finish marks the fourth consecutive year the Maury County club has been the winner or runner-up. In 2015 and 2016, Ketron Hatton and Brandon Levier of Central High School won the state title. Last year, Jessica Harrison of Spring Hill High School was runner-up. The leadership qualities seemed to come naturally. After a few months at the Club, Bullock noticed younger kids were gravitating to him. He thought it was just his smile at first. Then someone told him he was a role model because of his volunteer spirit and empathy for others. The Club’s structure and Bullock’s relationship with Julius created high expectations. “Mr. 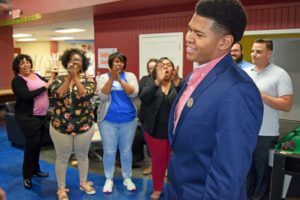 Chauncey showed him what it takes to be a man,” Boys & Girls Clubs of Maury County CEO Robyn Peery said. The acceleration was no accident, Peery said. Bullock worked hard and volunteered for nearly every community service project. “Isaiah has been a sponge. He has soaked it all it,” she said. 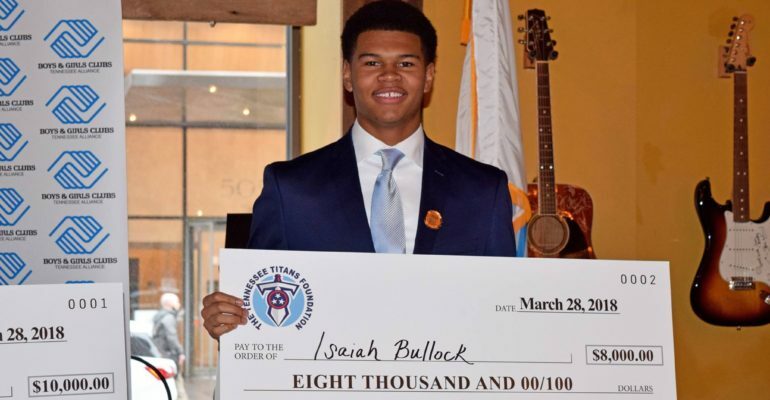 Bullock said he will use his $8,000 scholarship to study psychology at either Austin Peay State University or Tennessee State University. Although he’s not an “A” and “B” student at Central, he said he will be in college. Bullock’s mother, Tina, has three other children. His father has children, but Bullock’s not sure how many. He lives with his mother and works part time at Taco John’s on Nashville Highway. “I have gone from living a life in the shadows to being a light for others,” Bullock said.